CULVER CITY, C.A. — A 34-year-old professional sports gambler from Las Vegas won more than $110,000 on “Jeopardy!” on Tuesday, breaking the record for single-day cash winnings. 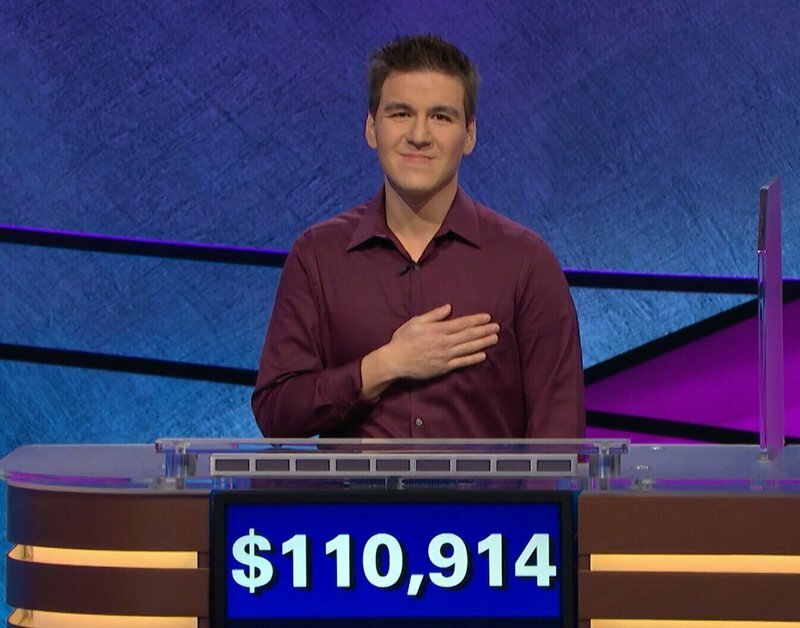 The show said in a press release that James Holzhauer won the episode with a total of $110,914. The previous record of $77,000 was set by Roger Craig in 2010. Tuesday’s win was the fourth consecutive victory for Holzhauer, whose winnings total more than $244,000. He will face two new challengers Wednesday. “Jeopardy!” host Alex Trebek revealed in March that he was diagnosed with advanced pancreatic cancer but said he intends to fight the disease and keep on working. The episode that aired Tuesday was taped Feb. 11.